Paul Wishart began actively pursuing photography 5 years ago, continuously developing his eye for great shots through his career in Visual Effects. Under the tutelage of his nationally recognized, photojournalist father, Paul has developed the skills to produce increasingly capturing photos. While trying to improve his photography skills across all aspects of the craft with a focus on nature and wildlife photography. Be sure to visit the pages under Collections. 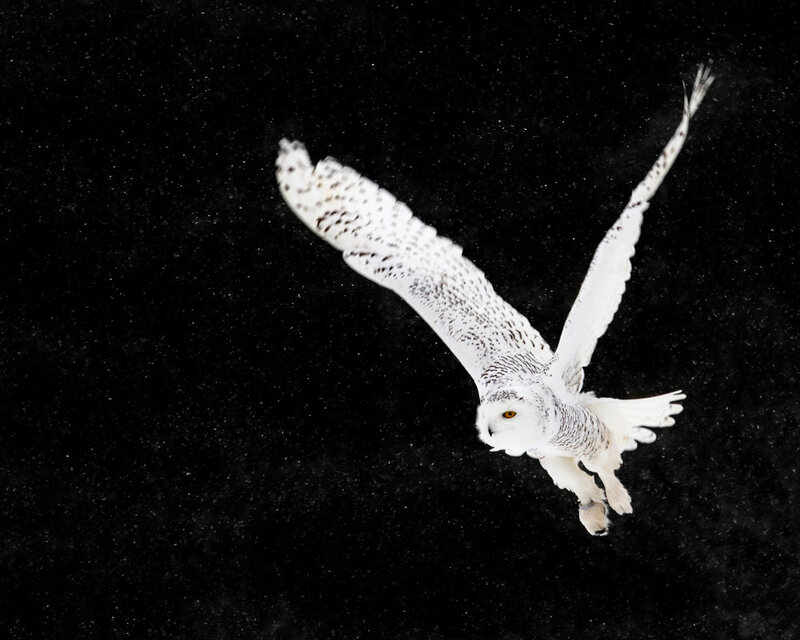 These pieces were selected from 3 common themes that Paul strives to capture during his Birds in Flight photography sessions. The first theme is Long Portrait, which features a side profile, head and shoulders shot of a large variety of raptors on elongated, bokeh backgrounds. The second theme is On Black, featuring a raptors captured on dark, or black backgrounds, isolating the birds for the viewer to enjoy. For the final theme, Paul has been experimenting in stroboscopic-like effects through rapid frame capture on DSLR cameras. Using post production techniques Paul stitches multiple images of birds in flight into a single, long image, depicting the flight path of the bird. Paul's love for nature led him to an indoor presentation about birds of prey led by the Canadian Raptor Conservancy (CRC), in hopes of learning more about these fantastic creatures. Alongside with their work educating the public about these birds and rehabilitating over 200 birds at their conservancy, the CRC also hosts private and semi private photography sessions with the birds that have been raised on site. Paul jumped at the chance to capture the raptors in the natural, yet controlled environment that the CRC offers.